We offer farm fresh eggs for sale every day in our self-serve Farm Shop. We raise a limited number of meat birds each year, mostly sold through our bulk sale. 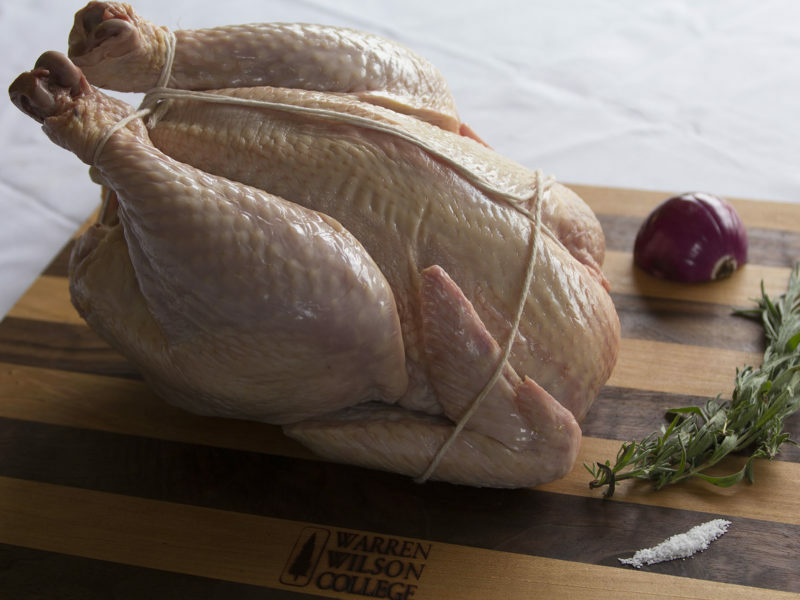 We offer whole birds as well as several cuts. Please visit our F.A.Q. for information on how to purchase our poultry. Our Laying chickens are a mixed breed flock who serve a special function on our farm. In addition to providing eggs, they provide the cattle and sheep with pest control services. Using a mobile coop on wheels, known as the “Pollo Loco” around these parts, the birds are moved every other day to follow the cattle and sheep in their rotation. The chickens eat insects and plants, as well as distribute manure by scratching through it. During their foraging, the birds consume parasite larvae that may otherwise affect the larger animals’ comfort and performance. The hens are supplemented with a WWC mixed ration of WWC corn, barley, purchased soybeans, and mineral mixes. 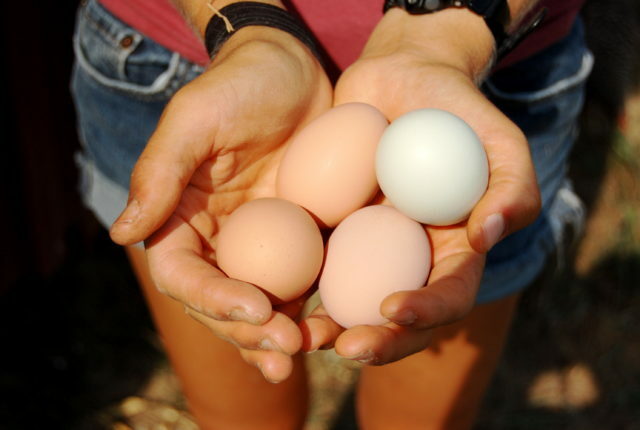 Eggs are collected once per day and not washed, in order to preserve the protective layer on the egg shell known as “the bloom”, which makes the shell impervious to bacteria. Our broilers (meat chickens) are purchased as day-old chicks from the Freedom Ranger hatchery in Pennsylvania. The chicks make their way to us via post and spend a few weeks indoors in our brooder as they grow in their feathers and become strong enough to be moved outdoors. 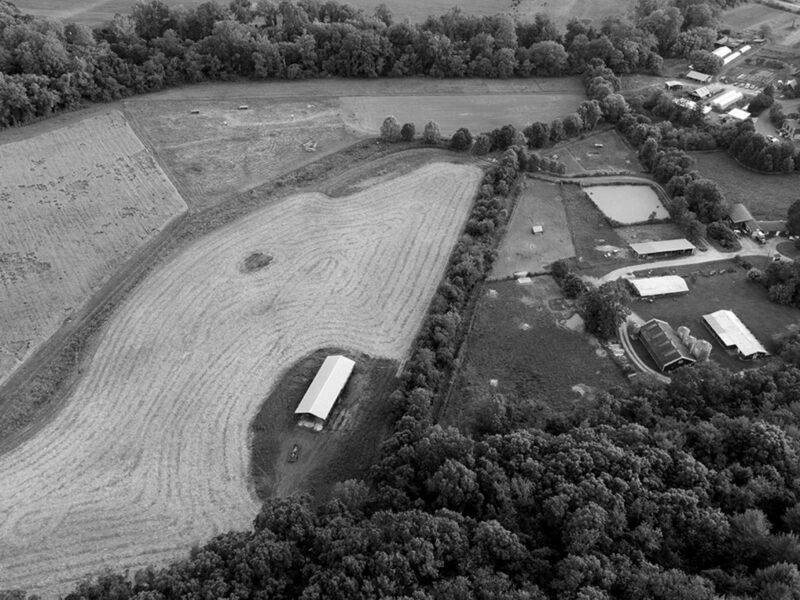 Our broiler chickens graze our rich bottom lands using movable hoop coops and are moved twice a day to fresh pasture. Poultry is processed at Foothills Pilot Plant in Marion, NC. We are an educational institution and therefore we are more than happy to further explain any of our practices to you. We want you to trust where your meat comes from and feel confident in our practices. Just drop us a line!